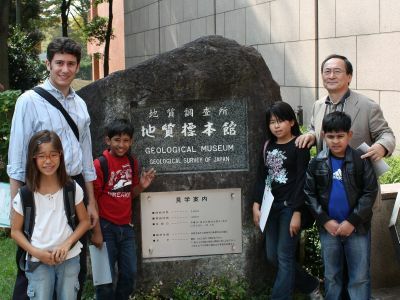 On October 22, we took a trip to the Geological Museum. We have been studying rocks and minerals so this was a perfect location for us to do some field work. We submitted some questions ahead of time and the museum staff was very kind to spend some time answering them. We hope to go back soon to do an experiment that will teach us how land is formed by the sedimentation of river water. Dr. Sawada, one of our hosts during the trip, taught us that Japan has a very unique geologic setting compared to continental countries, so we are interested in learning about the role that sedimentation has played in forming Japan’s plains. ← It's Beginning to Look A Lot Like Halloween!